Last week in South Africa I had an experience that left me with a sense of awe, one of the most unbelievable things I have seen or experienced in a decade as a wildlife photographer! Once-in-a-lifetime Lion Encounter Video with our Ranger Omega. As a wildlife photographer its part of my job to work close to my subjects, closer than ideal sometimes, but in this situation we came face to face with a predator, closeup, an arms length away. We got to see just how awesomely stealth a lion can be and how poor humans senses are, we never saw or heard the cat approach us. No one saw her until she was sitting on branch relaxing!!! If she had wanted to take one of us, no one in our land cruiser would not have known until after she had clamped down on that person's neck. It all started earlier that morning as we were watching this lioness and her sisters play with the cubs in her pride. We decided to head out to look for leopards but as we left, one of the males jumped up and ran off at full speed, then another male did the same. We caught up with the two with a water buck in their jaws that moments earlier a leopard had originally taken down. Nothing in Africa will challenge two adult male lions over food. As we were watching the two males on the kill on our left, all of a sudden a lioness decided to climb up a dead tree next to our land cruiser on the right to get a better look. We never saw or heard anything, yet there she was a few feet away. After this experience, our ranger Omega told me that this was closest he had ever been to a lion in his entire life! The situation was not as dangerous as it looks. 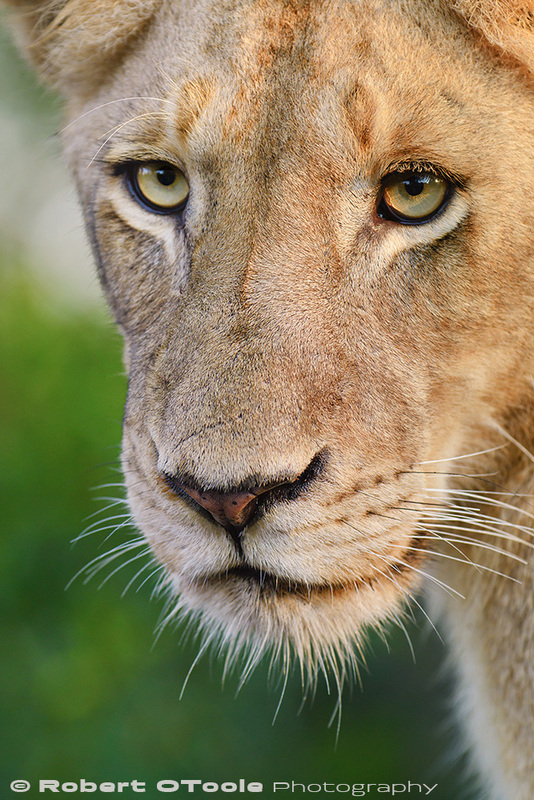 The lions in the Sabi Sands are habituated to vehicles so they are simply seen as large objects that come and go and are not associated with humans or prey. So we were safe even though it looked dangerous. As the situation unfolded I was not afraid at all as the lioness would have already struck if its goal was to attack. Also the lioness showed no aggression or stress at all, even her ears were standing straight up and her tail was relaxed so I was not too worried but it was an awesome experience to see the completely wild and free cat just a few feet away. More images and stories from my South Africa tour are coming next week. Any questions or comments please share them below or send me an email.